It’s hard to believe that Cassandra Clare’s first book, City of Bones, came out less than six years ago on March 27, 2007. Oh, how far Ms. Clare has come — from writing Harry Potter and Lord of the Rings fanfiction online to the release today of her eighth book, Clockwork Princess, which has a staggering first print run of one million copies. Cassandra Clare has had a pretty big year. 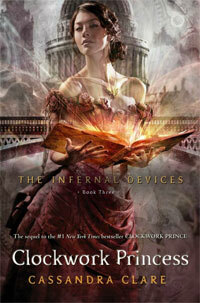 Clockwork Princess has seen one of the most ambitious and creative marketing strategies to date. 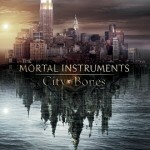 Hype over The Mortal Instruments: City of Bones movie release is already simmering in anticipation for August. And Clare has announced that she has started work on a new trilogy set in Los Angeles. 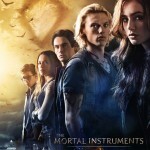 Read on to find out everything you need to know about the books and upcoming movie. 4 hours: The amount of time it took for Clare’s fans to hit the mark of 100,000 tweets with the hashtag #ClockworkPrincess to reveal the cover. The publisher revealed approximately one pixel for every 100 tweets received. 560,000: The number of tweets sent with the hashtag #ClockworkPrincess in 27 hours after the publisher announced another similar challenge — this one to reveal the first chapter of Clockwork Princess. The publisher revealed one word for every tweet received. 55: Days spent filming the movie this summer in Toronto and Ontario, Canada and New York City.